9:00am to 12:00pm. It's free and confidential! SizeUP LBI (Local Business Intelligence) shows how your business can grow within Tarrant or Dallas counties and stay competitive! 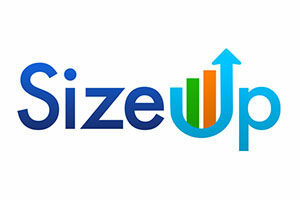 Use SizeUp LBI to: (1) compare your performance to other businesses in your area, (2) find potential customers, suppliers, and competitors, (3) identify the best geographic places to advertise, and (4) gather demographic, spending, and labor data specific to your location! The Tarrant SBDC assists existing and prospective small business owners by offering a wide variety of services that include one-on-one advising, assistance with financing, accounting, market research, business plan development and marketing. Partnering with local agencies and organizations, we provide entrepreneurs with valuable connections and resources to help them start and grow sustainable successful businesses. Through our North Texas SBDC regional network, we are also able to provide assistance in government contracting, international trade, and technology commercialization. A Business Advisor from SBDC will be at the Southlake Chamber office every other Friday from 9:00am to 12:00pm. Please call the SBDC office to set up your appointment.